HostGator Announces Free SSL (July 2018) : How to Get it? It's been strange. While EIG group of companies like BlueHost started offering free SSL few months ago, HostGator still offered paid SSL plans but now HostGator users can get free SSL on all hosting plans starting from July 2018. HostGator Free SSL will be live from July 1st 2018 for all existing users and new users, thanks to Google Chrome going to show Not secure sign on sites with no SSL. HostGator team have been working on this free SSL for the last few months and they're bringing it live at the right time when needed for its customers. Right now, there is no step by step guide to activate free SSL since the options will be only available from July 1st. 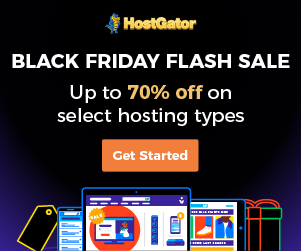 Stay connected with our post and Hostingtail too hosted on HostGator and looking excited to get HostGator Free SSL for our sites.